Love it but I also really like old barns. Me too Lavada. This is a ghost town in Colorado. I love old barns and buildings, too, Laurie. They do have great stories! It is wonderful! 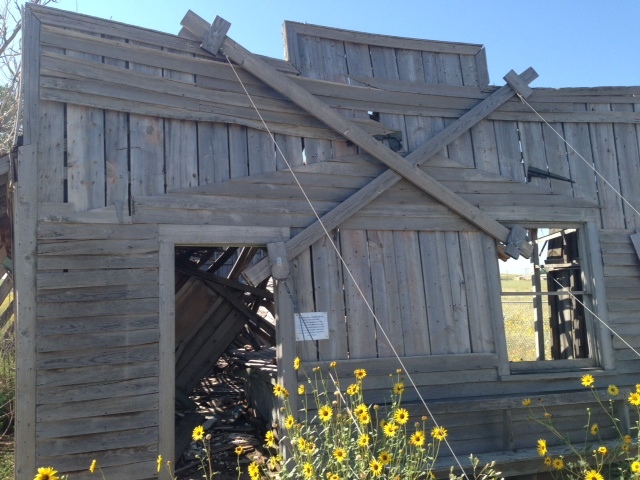 Unfortunately, many ghost towns in Colorado have been destroyed. Many are on private property and there is no protection for them.Several were destroyed simply because other people wanted them to be preserved and the land owners became vengeful. Sorry state of affairs…sorry STATE affairs? There should be laws. Agreed. Preserving heritage is very important to me. My cousin’s daughter just entered a master’s degree program in historical preservation.HGTV hooked her when she was about 13 . I love these structures. We saw some near the Great Basin National Park, I’ll have to post them. Awesome. Yeah, I’d love to see than.